Shoply makes e-commerce easy and affordable for all. E-commerce, for the site owner, hasn’t changed much since its inception. You either build your own site, or choose one that’s built for you. You load up some products, hopefully you sell them, and if you’re lucky you won’t go insane getting to this point. That said, when a business comes along that offers applications to make e-commerce get some sense about it, it becomes an exciting thing. Shoply is right on the border of very exciting things. Shoply simplifies things to the extreme. 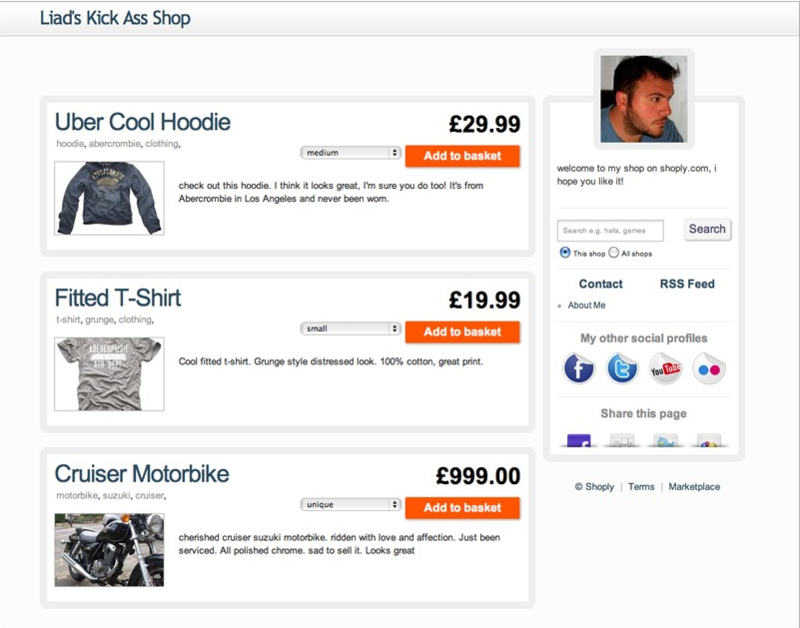 You add a product, give your shop some description and then connect it with your social sites. So yes, the idea goes far beyond selling your handmade mugs from your own blog. Order tracking, as well as managing your account is equally as simple. The clean interface has no room to be confusing, and we appreciate that. Let’s face it, a lot of people just don’t bother starting e-commerce sites because there’s just too much involved with it. Shoply takes care of that. Yup, Shoply is free. When you sign up, when you add products, it’s all free. The only time that it will charge you is when you sell something. It’s a bit like having a good lawyer, who won’t charge you unless you win. I used to use an e-commerce solution called OsCommerce. The beauty of it was that it was hugely robust. The problem I had was that it’s also dead ugly out of the box. Not being a designer, I had a clear issue here. There are many reasons why stores display things in the manners that they do. A good looking setup will make a product sale easier. Shoply understands that, and offers a beautiful if simple catalog. In case you haven’t noticed, sites such as Facebook and Twitter seem to have a few users these days. Having your e-commerce site directly connected to these services and more will put your products into the faces of a much more broad audience. What’s more, if someone starts shopping at another Shoply store, and ends up on yours, that’s quite OK. 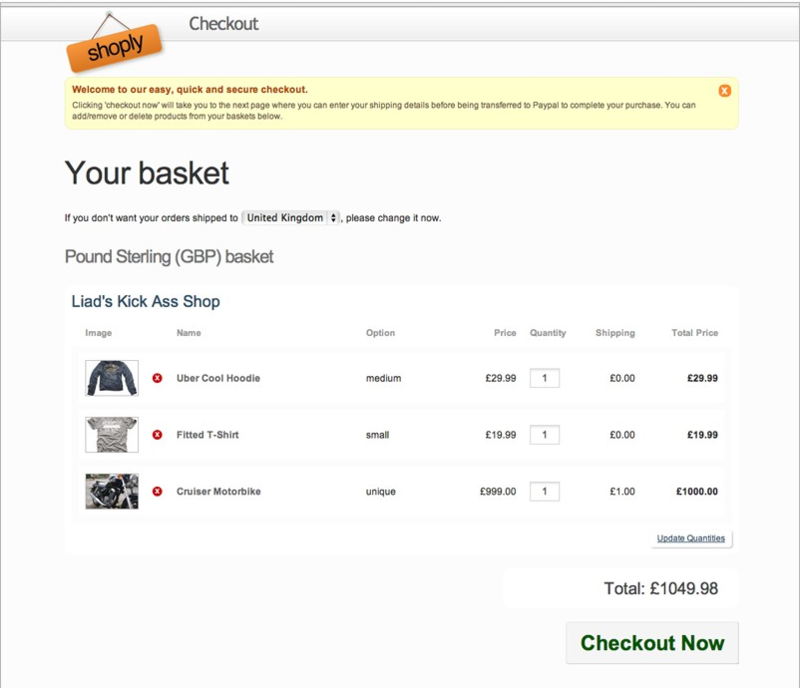 The customer’s cart persists across all stores, and each retailer is paid appropriately. Shoply is going to disrupt e-commerce slowly but surely. As the service gains more users, and with that more popularity, its importance will only increase. Right now, there aren’t other businesses out there doing exactly what Shoply does, and that’s an important thing to note. Sure, there are sites like Etsy, but they’re a bit too niche. Being able to sell whatever you want is important. 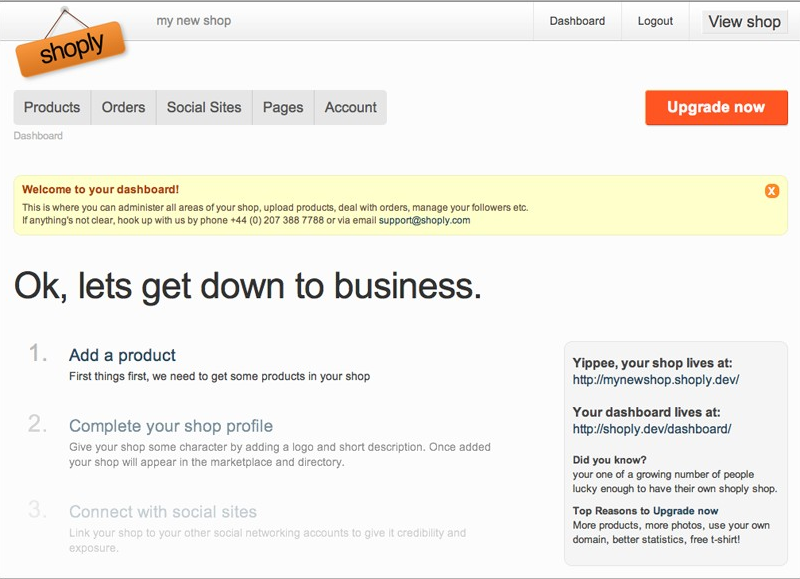 We’ll keep you updated as Shoply makes changes moving forward. For now, it’s a great option for anyone wanting to peek their heads into e-commerce, or perhaps just get away from the hassle of the rest. Read next: YouTube gets a video editor. New Rickroll versions imminent.